Want To Snoop Through My Trash? Empties & Review! Hey, friends! The appeal of looking through other people's rubbish is one that I can't explain, but is deeply-rooted in my being. In theory, empties posts are one of the weirdest subsets of blogger culture, but thankfully there are a lot of other Nosy Nellies out there to validate my addiction. Anyhow, I've been collecting a bunch of empty tubes and pots in one of my drawers, and the organisational part of my brain can't stand to let it grow any bigger - so let's get into it! Most of this stuff is skincare - because they all conveniently run out at the same time, in a plot to steal my money - so let's start there. 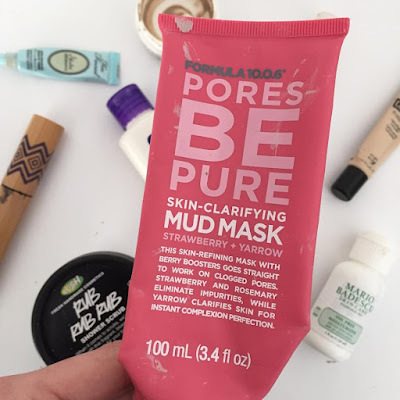 My favourite mask of life, Formula 10.0.6 Pores Be Pure, is unsurprisingly featuring in this post, because I use this stuff at least twice a week. 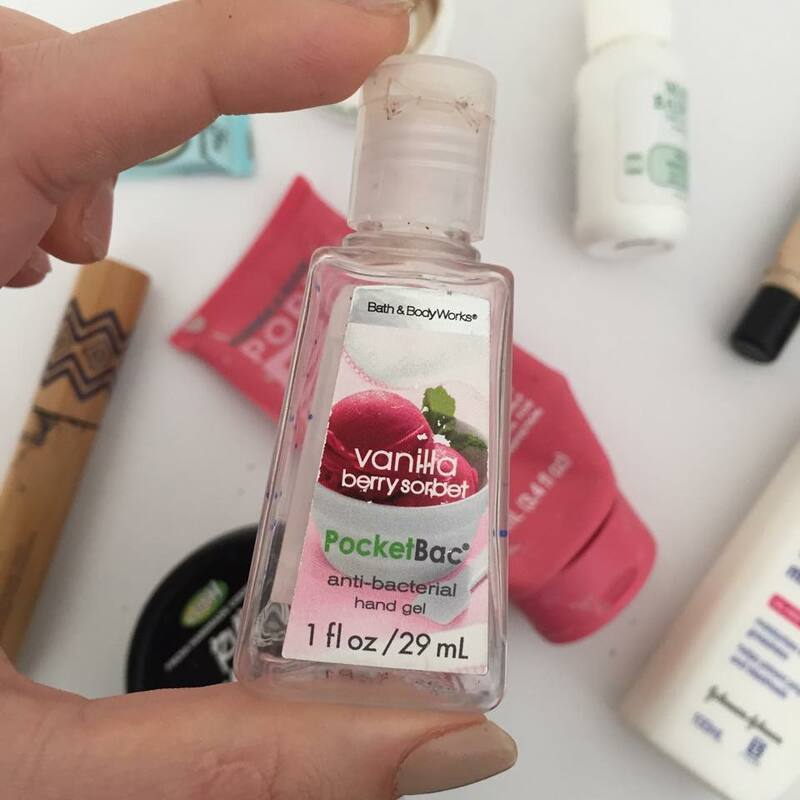 Nothing gets the gunk out of my face craters like this does, plus it has the added bonus of being under $10 (!!!). If you're prone to blemishes, I highly recommend a clay mask such as this, it'll draw out all of your impurities and tighten up those pores like a champ. Sticking with the mask theme, I tried out a deluxe sample of the Mario Badescu Drying Mask recently and despite finishing the little tub, I'm kind of on the fence about it. While it does seem to shrink my pores and soften my skin, it also looks and smells like nuclear swamp, plus it didn't reduce any of my mountainous acne. I'm generally not one to boycott skincare because of its smell, but Holy Toledo this is unpleasant. I probably won't be repurchasing any time soon, but I'm not completely ruling about the possibility. 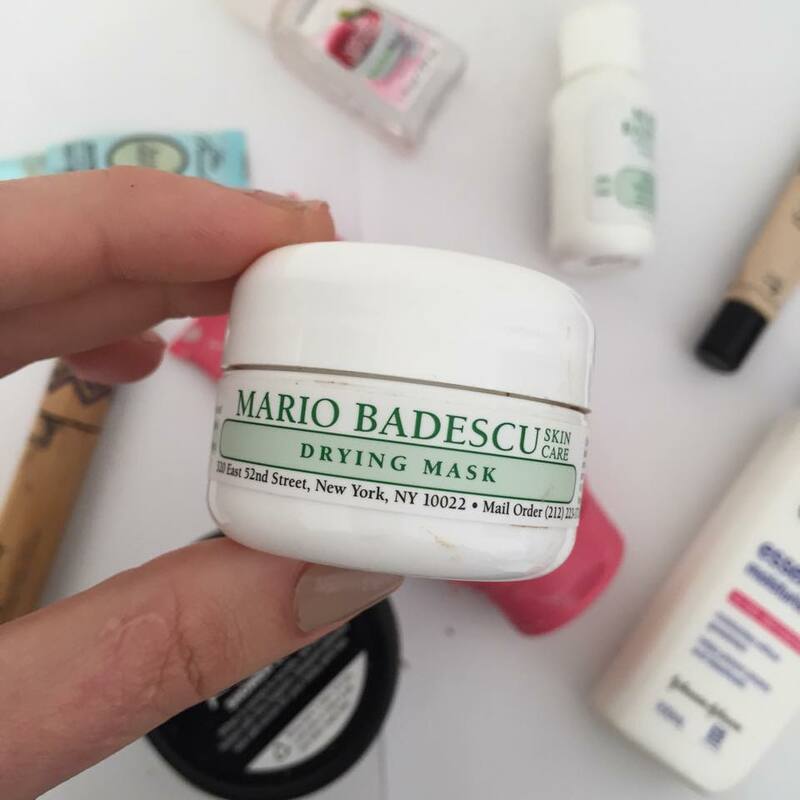 Another Mario Badescu product I've scraped the bottom of is the Oil Free Moisturiser. I really enjoyed this stuff, it did all the things a great day cream should do - hydrate and soften with the added bonus of SPF 17 - plus it had a lovely, fresh scent which proved non irritating to my sensi skin. I have not repurchased this as yet, simply because I have another moisturiser which performs exactly the same, but doesn't make my wallet cry as much. Funnily enough, this my next empty - the Clean & Clear Essentials Moisturiser. Look at that segue, damn. 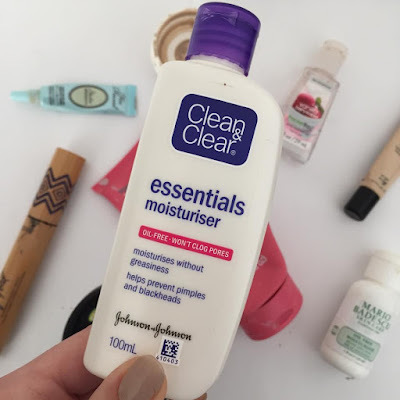 I adore this moisturiser, I've used it for years and my skin just really responds to it. It doesn't ever interfere with my makeup, nor does it antagonise my face. I recommend this to all of my friends who have picky skin - get your hands on it if you have the same issue! The next product is one I received just nine days before I cleaned myself out of it, it's that damn good. 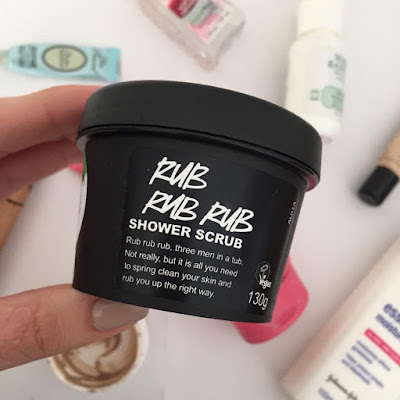 My favourite gal Ashley (aka @ashleymareebeauty) sent me a box of Lush goodies for my birthday last month and of the products inside, Rub Rub Rub was my absolute favourite. You could say it really rubbed me the right way - but you won't because that's a terrible joke. This pot of blue, abrasive goodness not only smells amazing but leaves you silky smooth without scraping off your epidermis. I am 100% down to repurchase this stuff and slather it all over my bod. 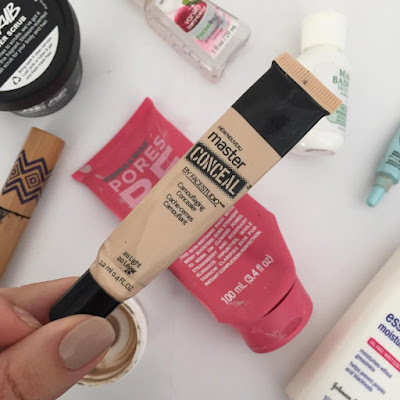 On to makeup, I have reached the end of my Maybelline Master Conceal by Face Studio and I'm so sad about it. You know, despite having a handy back up. This stuff is a dupe for the Nars Radiant Creamy Concealer (you can see why here), and I can't go a day without it. I'm mildly terrified that I'll run out of my second tube before it becomes available in Australia but I'm trying not to think about it. Denial is healthy. 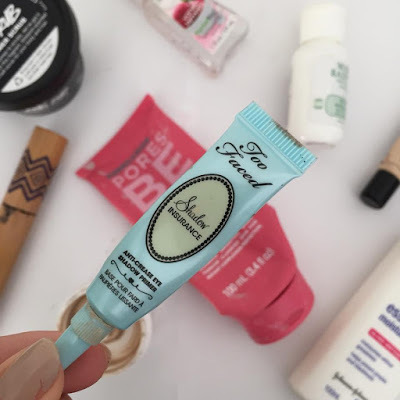 The other makeup product I've devastatingly used up is the Too Faced Shadow Insurance Eye Primer. This stuff kept my shadows on all day and made blending a breeze, while only using an infinitesimal amount. I had the sample size, which lasted way longer than good hygiene would probably suggest but hey. 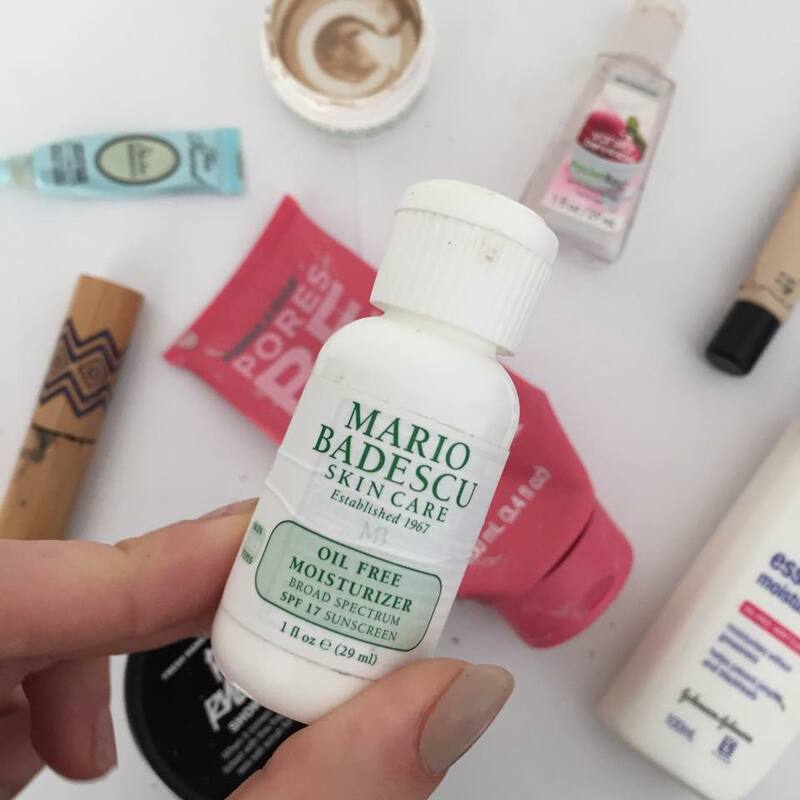 I haven't repurchased this yet simply because I have others to go through but I highly recommend it! 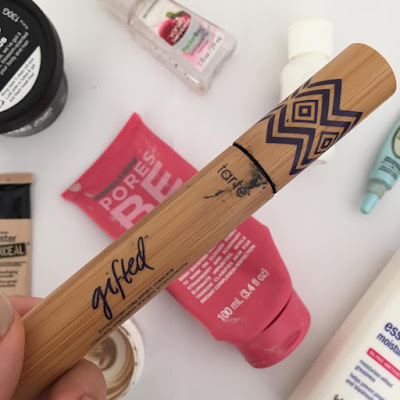 The Tarte Gifted Mascara is another product I used much longer than is probably recommended by anyone with knowledge of cosmetic hygiene but its just so good, I couldn't bare to get rid of it. I have a full review of it here, so I wont bore you with the details, but basically this is my favourite high end mascara. Ever. Lastly I have a bit of a weird empty, a hand sanistiser. A Bath And Body Works sanitiser to be exact. Firstly, I adore these and if anyone in America feels like sending me a lifetime supply I would not be mad in the slightest. Vanilla Cupcake and Berry Sorbet are my favourite, ok? But anyway, the reason I included this stuff is to impart a use for the empty bottles that pile up around your house. The other night I was planning on crashing at a friends house, but really didn't want to bring my big micellar water and cleanser bottles when suddenly, the empty sanitiser caught my eye. I ended up decanting my products inside and the rest is history. Patent Pending. 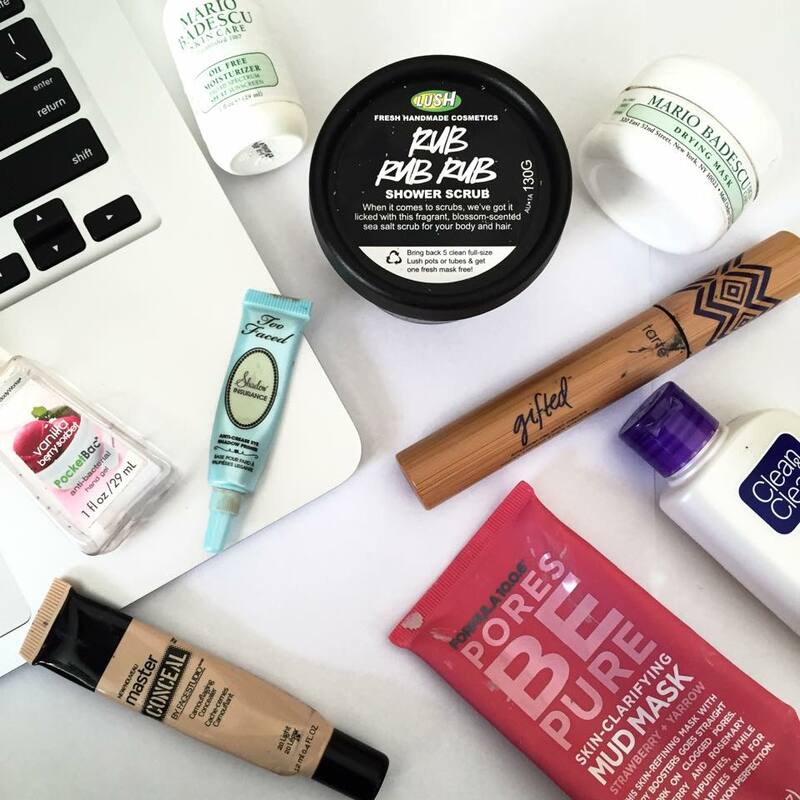 What's in your empties pile? I'd love to know! Oooh! Empties! I, like you, have a strange fascination with others' rubbish. Beauty rubbish that is. Although I do enjoy a good nosey through my neighbours' bins now and then. But for reals, I can 110% validate your addiction there. I've been contemplating purchasing Tarte's Gifted Mascara for a while now, and I think you've just convinced me. I'm also seriously loving Rub, Rub, Rub Scrub right now - best.